From Daintree to Cape Tribulation and Bloomfield River, you can experience the most unique rainforest in the world. 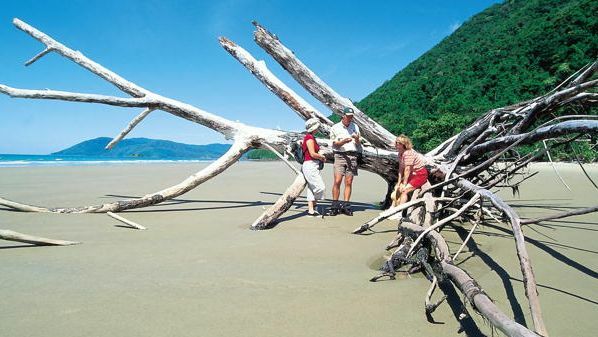 No trip to the tropical north is complete without visiting Cape Tribulation and this natural wonderland. he sealed road north of the Daintree River meanders through the lush rainforest covered Alexandra Range, to spectacular lookout points and glorious tropical beaches. 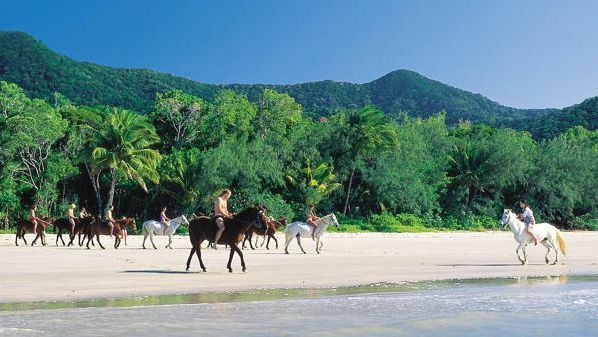 It is the Daintree Cape Tribulation where the rainforest meets the reef. Cape Tribulation is a headland and locality in northern Queensland, Australia 110km north of Cairns. It is located within the Daintree National Park and the Wet Tropics World Heritage area. Cape Tribulation locality contains a small number of tourism resorts and backpacker hostels. A sealed road provides access to the area from the south via the Daintree River ferry. The traditional owners of the area are the Kuku Yalanji people. Cape Tribulation was named by British explorer Captain James Cook on 10 June 1770 after his ship ran aground on a reef near the site, "because here began all our Troubles". 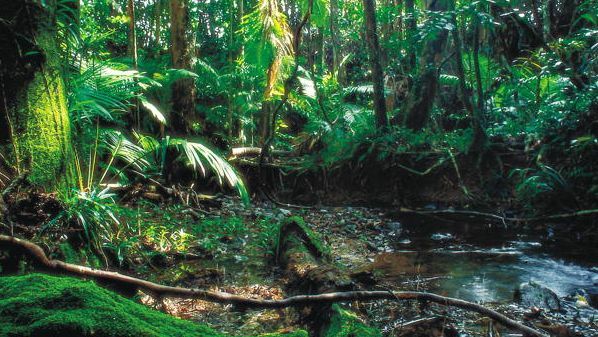 Around 17,000 hectares between Daintree River and Cape Tribulation is declared National Park and much of the area is also World Heritage listed to ensure protection of the rainforests. Cape Tribulation offers an exciting variety of day trips to the region are available, as well as many local tour options within the area. To truly understand this spectacular rainforest, stay and listen to the night sounds. Hidden in the wilderness is a range of comfortable accommodation, with imaginative restaurants, retail stores and available services. 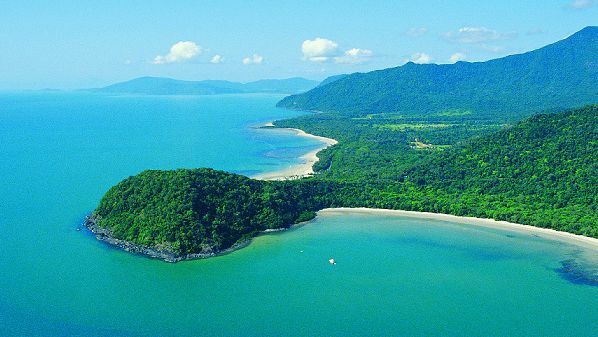 Cape Tribulation Australia where truly the rainforest meets the reef - stay for more than one day to explore & experience this World Heritage Wonder.